Consuming Identities commences with a framing question: if print, as Francis Bacon believed, “changed the appearance and state of the world,” what did reproducibility and dissemination of the visual image do? Pictures shaped the way that Americans presented themselves, portrayed and related to one another, and framed their worldview. Images also influenced popular interpretations of historical events, thus wielding considerable power in nineteenth-century society. For all of its demographic, geographic, and historical distinctiveness, nineteenth-century San Francisco provides us with a uniquely valuable opportunity to study a vanguard chapter in a much wider phenomenon: the role of images in the formation of a new individualism, as well as virtual intimacy and immediacy—all cornerstone experiences of the modern era. This phenomenon emerged from the urban crucible but extended well beyond San Francisco’s city limits and transcended the borders of nation-states; it constituted a fundamental and heretofore overlooked facet of market life in an increasingly globalized and industrial society. The city’s fame and its cosmopolitan population shaped its image-saturated culture, and empowered that culture to wield influence on a range of other cities around the world. Popular interest in the gold rush experience wound up broadcasting San Francisco’s developments before a very wide audience. To an even larger extent than most cities, the gold rush metropolis forced its denizens to rely on visual cues about individual identity—their own and all those they encountered—rather than the knowledge gleaned from kinship and personal experience. Yet San Franciscans also relied on images to maintain or manage older kinds of relationships with the kin they left behind. The recognizably modern investment in visual representations of human beings emerged early in gold rush San Francisco, and provides historians a compelling case for studying its formation and character. This book specifically examines two phenomena as they emerged and developed in San Francisco: images of humans and the growth of a commodified image industry around those images of humans. The study spans the second half of the nineteenth century, beginning with the January 1848 discovery of gold on the American River and the almost simultaneous U.S. acquisition of California (ceded along with almost one half of all Mexican territory in the Treaty of Guadalupe Hidalgo, less than two weeks later). Consuming Identities concludes with the dawn of the twentieth century and the catastrophic San Francisco earthquake and fire of 1906—an endpoint that coincides with a demographic and cultural shift southward to Los Angeles in the ensuing decades, when motion pictures would begin to gain preeminence. Throughout, the work demonstrates the role of San Francisco as a city at the forefront of far-reaching changes that were gradually taking hold in urban places throughout the industrialized world. These transformations were becoming evident in daily life, perception, and experience, and they encompassed broad phenomena such as urbanization, immigration, mobility, and—not coincidentally—a society saturated with forms of spectacle and spectatorship. Amy Lippert's research and teaching focus on the cultural and social history of the United States in the nineteenth century, with a special interest in the mass production, consumption, and interaction with visual imagery and problems of perception. 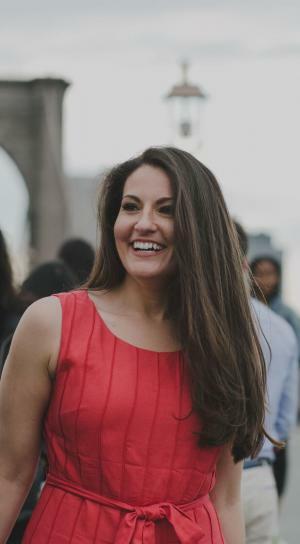 She teaches courses and seminars on Visual Culture in American Life, Nineteenth-Century US Cultural and Social History, the US West, American Urban History, Gender and Sexuality, American Cultural Institutions, Consumerism and Mass Culture, and Death and Memory. Current projects include a book nearing completion on visual culture and celebrity in nineteenth-century San Francisco, and work-in-progress on diversity, racial classification, and photography in the nineteenth century, as well as research on the dynamics of gender and higher education in capitalist society, specifically through the lens of the collecting practices and philanthropy of Phoebe A. Hearst. 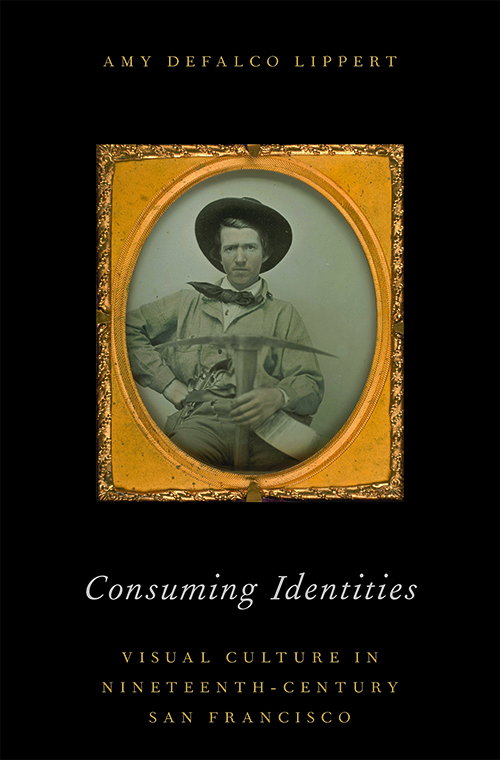 To download a list of the books referenced in Consuming identities: Visual Culture in 19th Century San Francisco, please click here. A list of the complete set of illustrations, appearing both in the book and on the website. Enter code AAFLYG6 for 30% off this book at the Oxford University Press website.